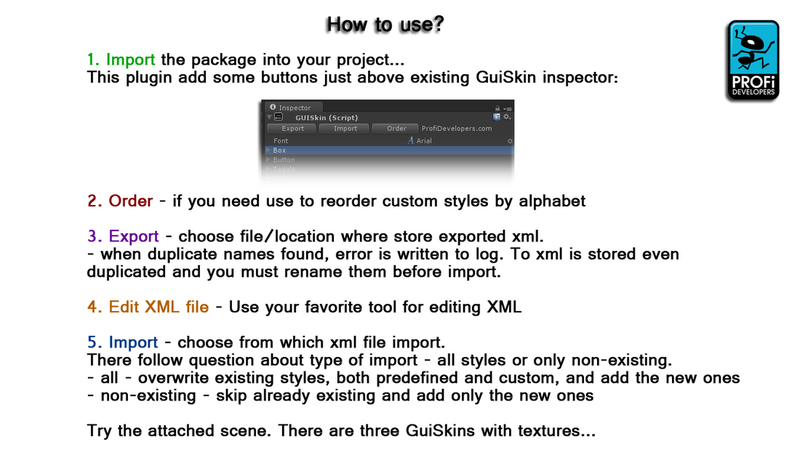 With this plugin you can export/import GuiSkin into/from xml. 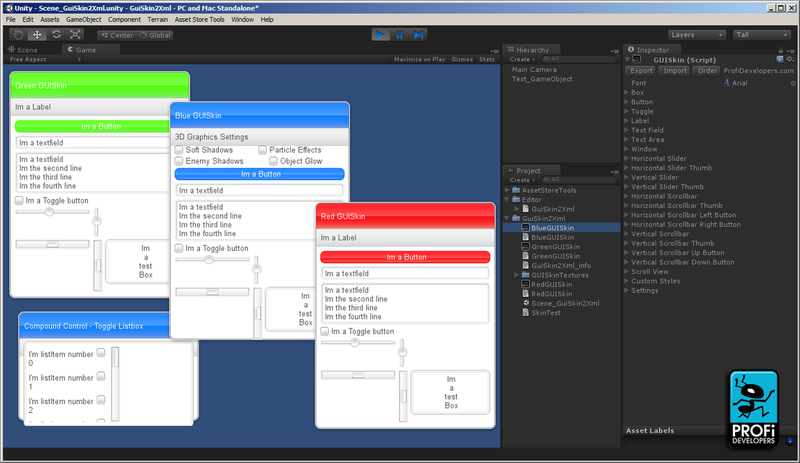 This plugin is aimed for easier manipulation with styles, not as a replacement for the current GuiSkin editor. It is intended to store only Styles, not global Font, and cursor/selection settings. It stores both predefined and custom styles. Textures are referenced by path and filename (not guides) so you can copy styles even between different projects. The plugin is also able to reference textures from built in Unity skin. Styles are referenced by name, so exporting and re-exporting the skin, with duplicate names, probably means data loss. Make sure you are careful when hand editing xml files. In case of import problems, compare it to freshly exported xml.